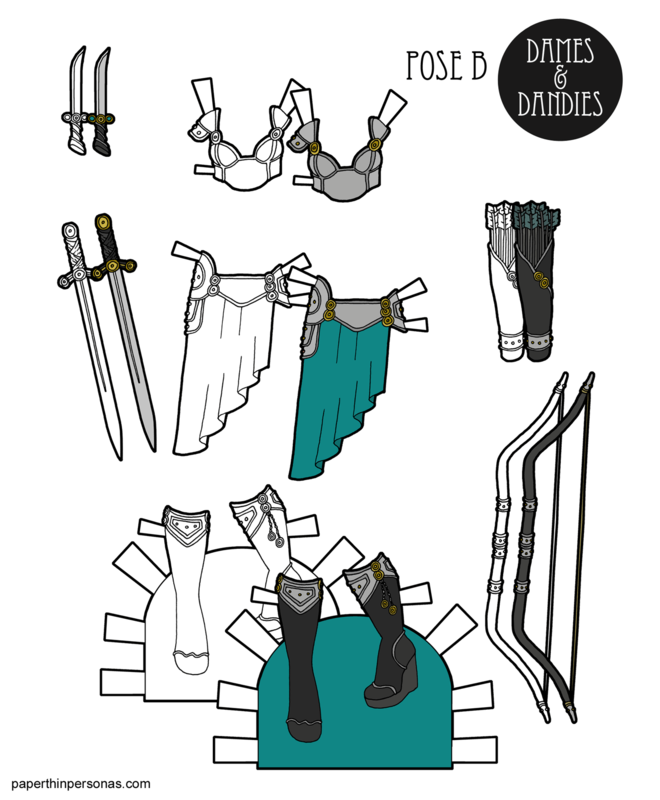 Printable Black & White PDF Printable Color PDF More Paper Dolls & ClothesEvery time I draw one of these totally absurd, completely impractical over the top fantasy armor sets, I try to blame it on my love of Xena: Warrior Princess as a child. But maybe I just like drawing over the top fantasy armor sets. Anyway, this set was actually inspired by an old paper doll set I drew back in September 2012 for Marisole Monday. In the process of drawing this set, I did realize I have no idea how long an arrow in ratio to a bow is actually supposed to be. So, what do people think of today’s paper doll? I’d love to hear in the comments and if you enjoy the paper dolls, consider supporting the blog on Patreon. I have received notice that your site is unsafe to use. I thought you should be aware of this. Hello! I just wanted to let you know that notice is because the site doesn’t haven an SSL security certificate. When I set up the site in 2008, this wasn’t a big deal. However, things have changed. While I do have one, activating it requires re-directing every single link on the site from HTTP to HTTPS and last time I tried, the site crashed. So, it is something I am working to fix. The site is behind a firewall and does use virus monitoring. It’s perfectly safe to use, but, as always, be protective about personal information. This is among the updates I am hoping to implement in 2019. Arrows are commonly a yard long, from a glance the arrows here would be short in relation to the bow, so you’d have a short draw and not be able to shoot as far.